Desserts are so much fun to make pretty! 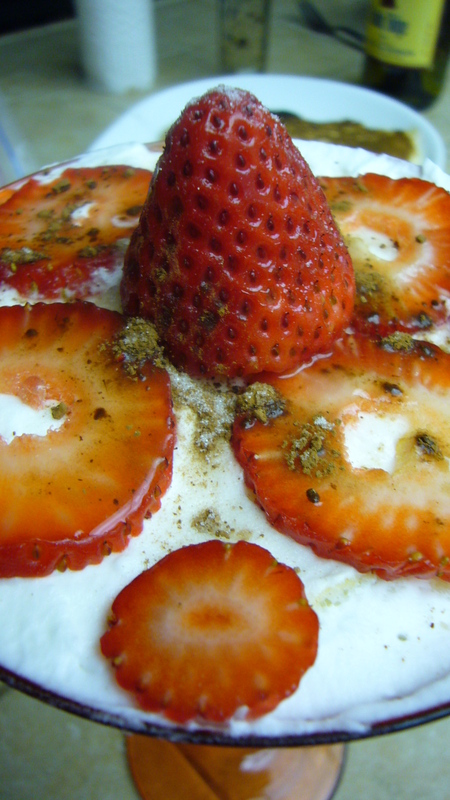 I wanted to make a dessert out of some sweet strawberries that just picked up. I was thinking of a whip cream trifle of some kind. Easy towered and fun to put together. The only thing is, It was already taking me forever to get to my friends house because the California rain. I was thinking that she had offered up to make us some pancakes for dinner…….I kindly declined….but at this point I am thinking they would work great if they were made thin enough to layer with strawberries and the whip cream. It worked perfectly. The pancakes came out a bit thicker than I thought they would so what I did was cut the pancakes up into cubes and placed them in cups. 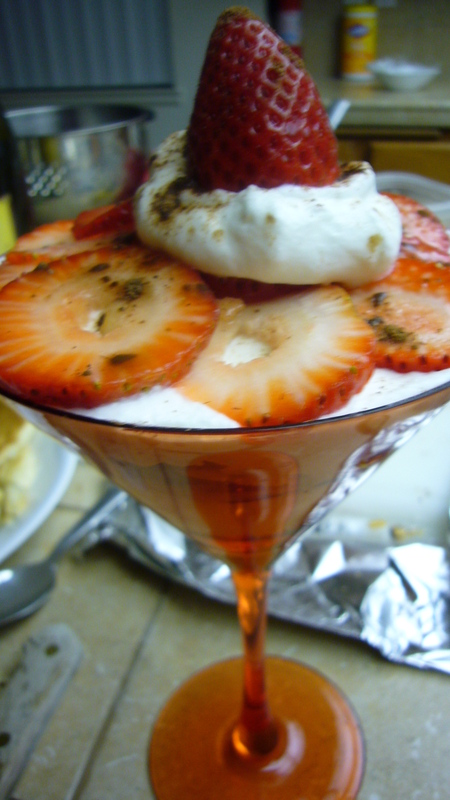 I then layered with whip cream and then sliced strawberries. 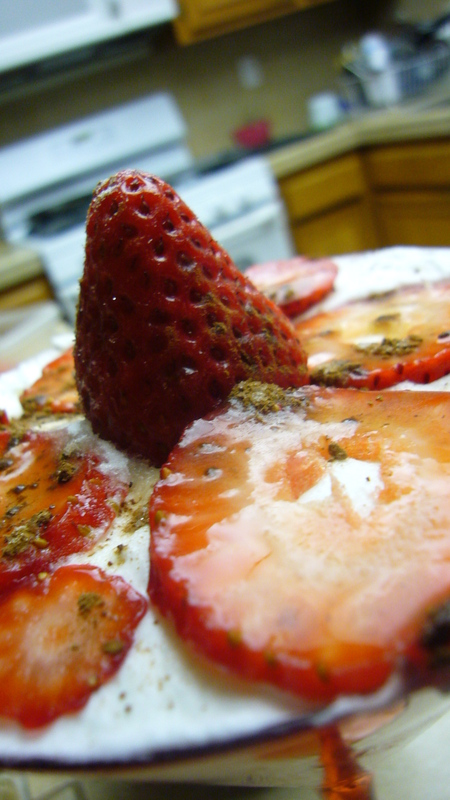 I sprinkled a little bakers sugar on top of the strawberries. I repeated the process to my artistic satisfaction. My super friend came up to me and reminded me of her dislike for my beloved berries and then I realized that I should make her a different dessert. I happened to have some super mini peanut butter cups on me (I had them for working on another project) and so I just used them in place of the strawberries. 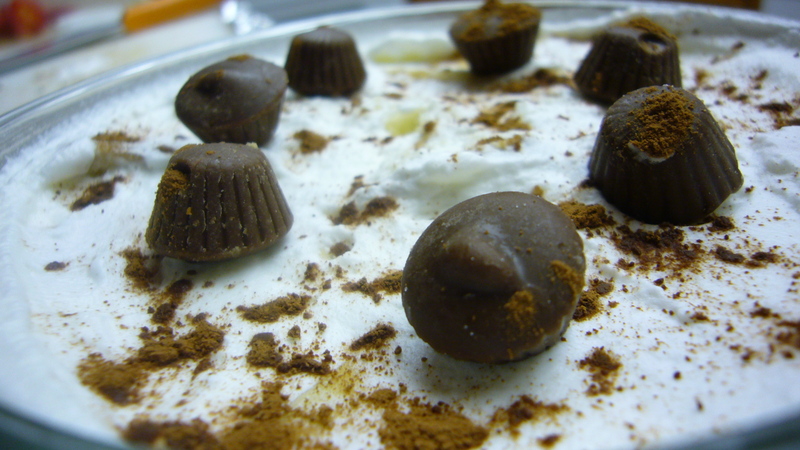 The peanut butter cups had their own sugar, so I didn’t bother adding and sugar to this. It was sweet enough on it’s own. The last dessert was almost the same as the first one, but I incorporated more sugar and used a little chocolate powder inside and outside. 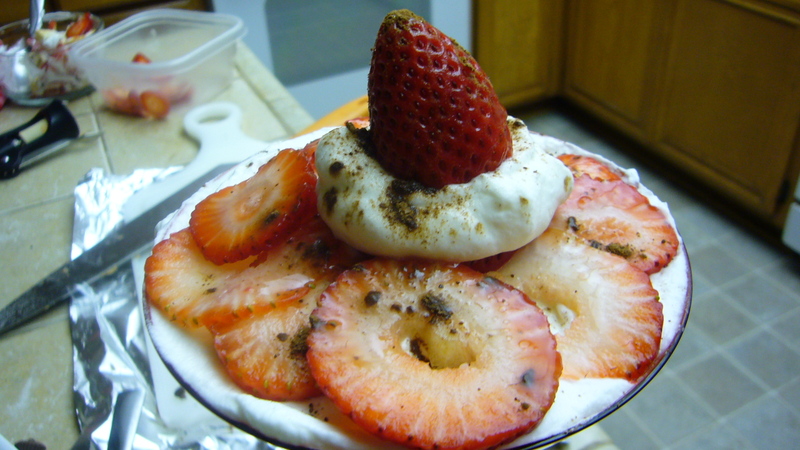 The strawberries were the stars but I thought that a little choco lacing might be interesting. It was fun a lot of fun making these! I really got into the placement of every strawberry or peanut butter cup. Thanks to everyone that shared in my foodventure this weekend. I hope that you all enjoyed! Yeah, I was really surprised with the Peanut Butter cup one! Glad that came out!